The new browser-based SOBA Golden Rush was launched in the original, original style, where the goal is not building towers and strengthening military positions, but gold mining. Four teams are sent to his search, each with three representatives. Whose team will collect more precious metal, she will receive additions to their characteristics. 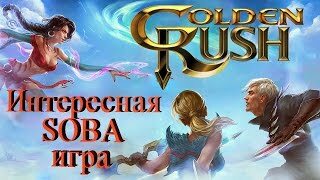 Starting in Golden Rush to play, you have to undergo training in which you need to get 30,000 coins from gold. Since the tutorial goes in a lightweight mode, it is relatively easy to do, because it is important to introduce you to all the moments of the gameplay. But after that, hold on - all the forces of the strange ancient world will fall upon you. From the grottoes, caves, all the cracks of the ruins will come the ghosts of the former inhabitants of the country. Once it was a rich and blessed land inhabited by fabulous creatures. They guarded the gold-bearing veins, but once they themselves succumbed to the charms of the abject metal that destroyed them. For many millennia, people have not been to these places, and what you have to see is difficult to understand rationally. Nature has created many strange, fantastic forms of life and wild animals. Magic has blossomed in all its glory, actively manifesting itself against the newcomers who disturbed its peaceful abode. But not everyone wants to kill the traveler, the adventurer. Some creatures are willing to help and cooperate with you. Saving in this outwardly paradise is not like a pleasant, carefree walk, because everyone wants to get rich, which causes clashes. The fight will be fierce, both with local residents - rogue goblins and their spiders, and with other players. 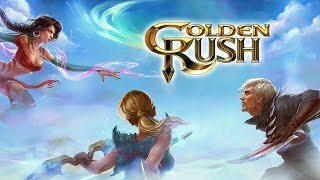 And to start an odyssey in the fantasy world, you need Golden Rush registration.
. Each character has its own role: plastic, lightning, and light ones pursue a goal - they hunt monsters, and those who have powerful strength and endurance hold their positions better. Toad moves measured slowly, and does not provide any resistance. From her overflowing baskets from time to time whole handfuls of gold coins fall to the ground, which you just need to pick up, following on the heels. Or beat her a little bit so that she forked out. Here are just raids of various creatures and teams of enemies interfere with the quiet, calm gathering, and have to be distracted by the battles. All of what has been said, can be distinguished in a more concise form. If to characterize the game, then there is a mass of compliments. This is a really interesting, unique project, available completely free of charge. Graphics, special effects, tasks and opportunities - all at the highest level.